Balsamic There are 7 products. The quality, flavour, and strength of each different type of balsamic vinegar, all come from the selection of the grape, the type of barrel used in the fermentation process, and the amount of time the vinegar is allowed to age for. We offer a wide range of completely natural premium balsamic vinegars, all rich in flavour and dark in colour, with slightly acidic tones and distinctive, natural fragrances. 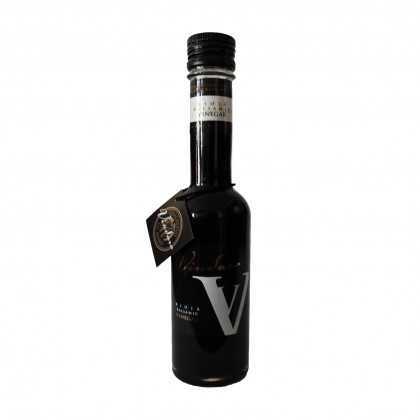 La Maja elaborates this incredible balsamic vinegar of great intensity of aromas, creamy and sweet. It is ideal for elaborating dishes of the best high quality. 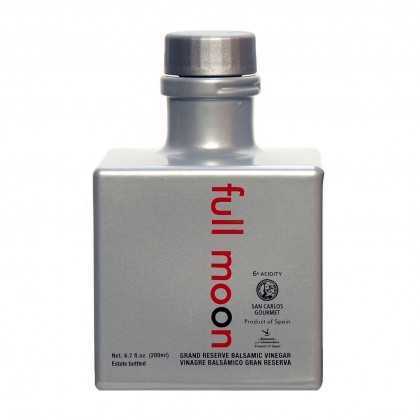 Full Moon is a special balsamic vinegar of Pedro Ximenez grapes with a great intensity and a hint of sweetness that does not leave anyone indifferent. The only transparent vinegar of the world obtained in a 100% natural process. This Full Moon Gran Reserva of 12 years is a real pleasure for the palate. 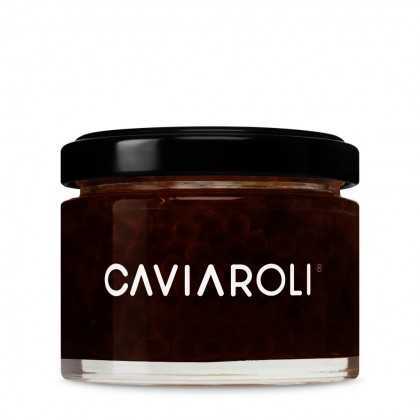 The latest creation of Caviaroli is produced with an excellent vinegar from the Italian region of Modena. Ideal for using as a natural substitute of vinegar. 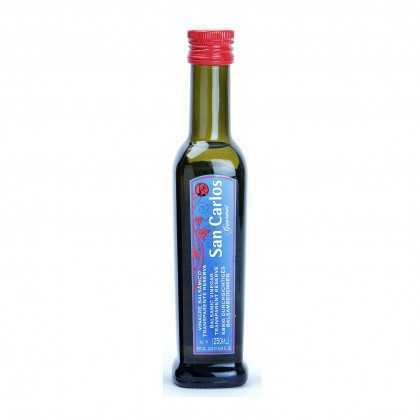 San Carlos Gourmet, unparalleled balsamic vinegar that cannot be missed out. Great intensity and incredible explosion of tastes and net aromas to enjoy. This transparent balsamic vinegar, unique in the world, is elaborated with 100% natural processes and is essential for the best chefs in the world. Vindaro, the first and only balsamic vinegar from Rioja, is an original vinegar that will not leave chefs and lovers of authentic tastes indifferent.